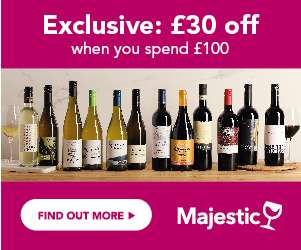 Would like to buy excellent Saint-Joseph wine for less? Compare current prices, exclusive voucher codes & other offers. Use various search filters to find the best pick. Have a look at awards and reviews to balance the price & quality. Sign up for Price Alerts and let us notify you when the price your chosen bottle drops. One of the better known wine names from the Northern Rhone, St Joseph is a large appellation, hugging the west bank of the river. Deliciously rich, spicy, perfumed and approachable, these wines do not have the power of Hermitage, over on the other side of the river, or the complexity of Cote Rotie, but offer style, flavour and a satisfying character. The wines from the steep granite slopes are far higher in quality than those grown on the alluvial soils close to the river. There is a small proportion of white wines, from the Roussanne and the Marsanne. Style: Earlier-drinking wines, still with the classic Northern Rhone black fruits and spicy character, but with a rich, soft, mocha edge. Good with: Steak, roast beef, roast lamb, braised meats and also venison.